The SAFETP, launched in May 2006, is a collaboration between the South African National Department of Health (NDoH), the National Institute for Communicable Diseases (NICD) of the National Health Laboratory Services (NHLS), the University of Pretoria, and Centers for Disease Control and Prevention (CDC).... Twenty-five years after the onset of the HIV/AIDS epidemic in sub-Saharan Africa, precious lives continue to be lost. The consequences of the HIV/AIDS epidemic have been tragic indeed. Social franchising of community‐based HIV testing and linkage to HIV care and treatment services: an evaluation of a pilot study in Tshwane, South Africa adjusting entries questions and answers pdf - Between 2005 and 2013 the number of AIDS-related deaths in sub-Saharan Africa fell by 39% . 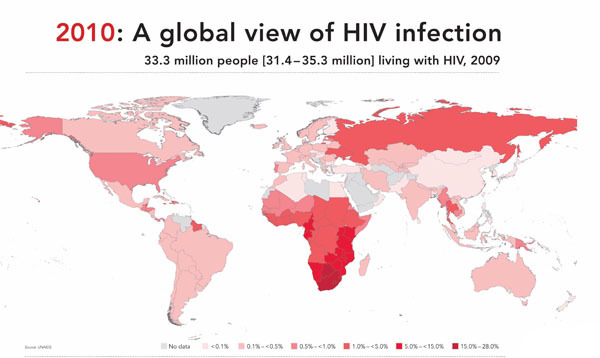 Treatment coverage is 37% of all people living with HIV in sub-Saharan Africa. not only HIV/AIDS, but deeply entrenched cultural understandings of difference and disease. Cultural Diversity: Culture has a tremendous influence on disease transmission, prevention approaches, understandings of health and illness, and personal and political responses to disease.